New Zealand’s property market recorded new listings at 9,411 in July, the NZ Property Report said. The report compiled by Realestate.co.nz showed that the new listings will fill up the winter inventory and is up 5% compared to July 2011. However, on a seasonally adjusted basis the listing is slightly low. Alistair Helm, chief executive of Realestate.co.nz said in the big demand for property in June resulted in a 4-year low inventory. "Recent months have placed some stress on the market for buyers, with the shortage of new listings along with higher numbers of sales placing the market's favour firmly in sellers' hands," he said in nzherald.com. 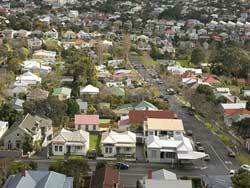 The big demand for homes in New Zealand has pushed prices up benefitting sellers, but Mr. Helm says buyers now have more choices in good locations. Prices in key cities of Canterbury, Wellington and Auckland triggered national prices to hit an average 3 to 4% increase with asking prices hovering between $392,000 $429,181, reports said. “The clear signal from the July data was one of market stability, but whether that will persist remains to be seen,” Mr. Helm tells nzherald.com. If you find yourself a Buyer in New Zealand, here are some of the tenant rules and regulations you ought to understand before plunging into the local housing market.